Paying tributes to the Indian soldiers who fought in first World War a hundred years ago, Prime Minister Narendra Modi on Sunday reiterated India’s commitment towards world peace and pledged to create an atmosphere where wars do not occur. “Today, as we mark 100 since the end of the horrific first World War, we reiterate our commitment towards world peace and pledge to work to further an atmosphere of harmony and brotherhood so that the trail of death and destruction caused by wars does not occur,” Modi said. 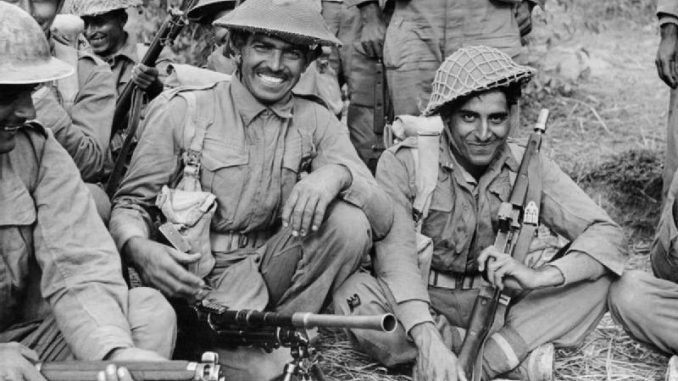 Remembering the soldiers who fought in the war, the Prime Minister said India was not directly involved but our soldiers have fought across the world just for the cause of peace. “I have had the honour of paying tributes at the Neuve-Chapelle Memorial in France and at the memorial in Israel’s Haifa, places associated with India’s role in the first World War. When Israeli Prime Minister Benjamin Netanyahu came to India, we paid tributes at the Teen Murti-Haifa Chowk”, Modi said. Leaders across the world paid tributes to soldiers and citizens who lost their lives in the war. Veterans and citizens gathered at various Remembrance Day events, in which commemorative wreaths and red poppies, the symbol of First World War remembrance for Commonwealth nations, were displayed on monuments and at cemeteries. The first World War lasted from July 28, 1914, to November 11, 1918.